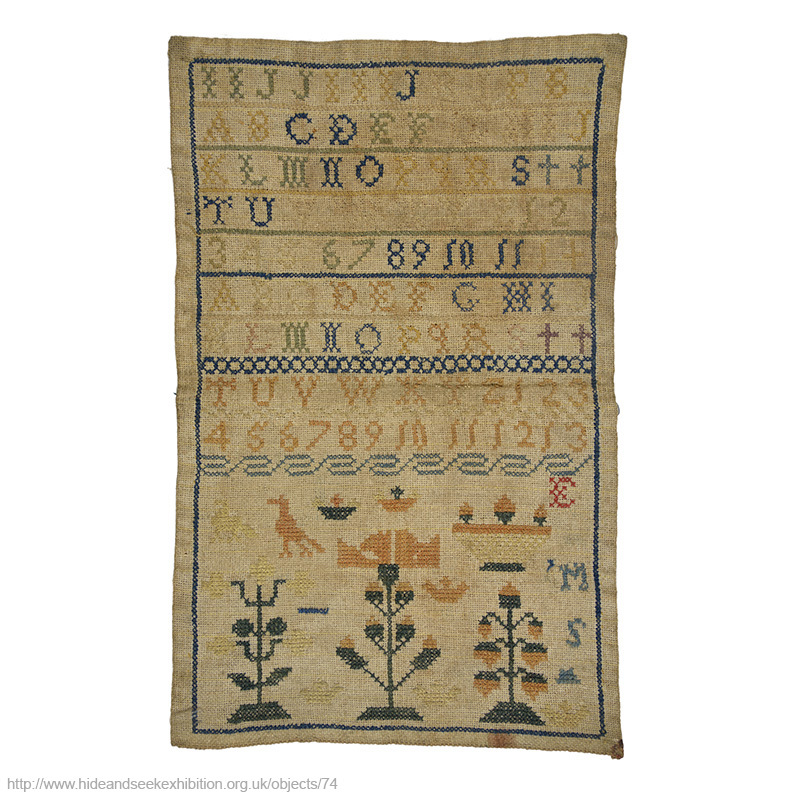 This sampler was made by Eleanor M.S. when she was around 10 years old. She used thread coloured with artificial dyes, a new product not available to her mother and grandmother. She used birds and trees to decorate the bottom of her sampler, common motifs used at this time.